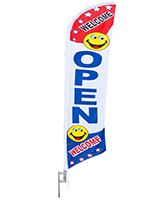 These open flags are crafted with a classic and eye catching color scheme. The 13' tall signs are made from polyester. 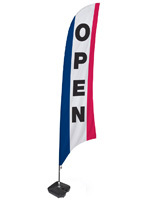 Each of the durable flags can withstand use outdoors inclement weather. 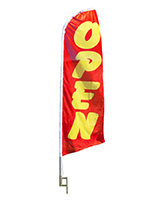 However, the banners are not designed to stay up when there are winds greater than 20 mph. 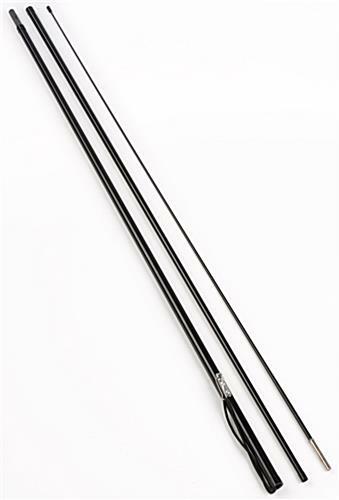 These advertising accessories can be staked directly into the grass or dirt. 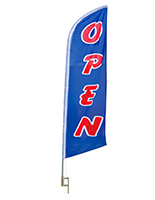 Order the flags to announce the grand opening of your business or use them on a regualr basis to attract business!